On a recent outing to the BLM’s Bi-County Timber Sale, I stopped to take a break and check out a clearcut along Sawtell Rd. in Molalla. When I got there, the barrenness and desolation did not settle well with my heart -- the land was torn up with stumps and slash piles everywhere. Nothing that was once living seemed to be present. These threats are real. Even before the election last November we learned about the largest timber sale Bark has ever seen and new clearcuts being proposed in Mt. Hood National Forest. Now with last week’s horrifying proposed “Resilient Federal Forest Act” and Sonny Perdue saying that trees are “crops” that “ought to be harvested,” I am even more worried about our forests and what the future holds for them. I bet you are, too. That’s why I support Bark. 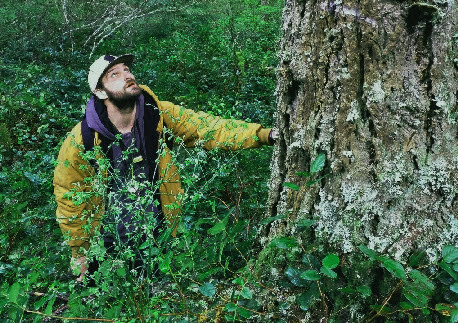 As a groundtruther for Bark, I document tree species and ages, steepness of slopes and presence of unmapped streams or roads, which Bark staff uses to educate and inform the public and the Forest Service about what is actually going on in the forest. This information is crucial to keep the Forest Service accountable to their own rules. "We're not going to roll over every time somebody says 'boo' about us wanting to harvest timber,” said Sonny Perdue. Bark does not cry ‘boo’ -- we show up with the best information in the room and we bark loud and clear. Please keep Bark’s voice strong by donating $100 right now. With the snow gone and the flowers blooming, it’s time to get outside for surveying and field checking. I plan to spend my summer groundtruthing dozens of units of Crystal Clear, Waucoma, North Clack, and Bi-County Timber Sales, surveying every bit of them with many other Bark volunteers. By contributing to Bark’s Summer Fundraising Campaign, you’ll be helping people like me who refuse to sit idly or live in fear and let the industry have its way. The Trump administration is emboldening the timber companies every week but I will be here to fight for every acre. After sitting in the clearcut that day near Bi-County, I continued my journey and found peace of mind with my giant friends. Trees shaking in the wind, critters scurrying about, shrubs rustling, the forest breathing. To me, being surrounded by this living community is absolute bliss. I hope you, too, will find peace of mind this summer – some of it from supporting Bark! P.S. If getting out into our beautiful forests sounds like something you would like to do this summer, join me at the 2017 Base Camp. We’ll be out there field checking the Crystal Clear Timber Sale, learning more about our beautiful forests and building our vibrant community. I hope to see you there! Banner photo from the Grove Timber Sale, Clackamas watershed, October 2016. 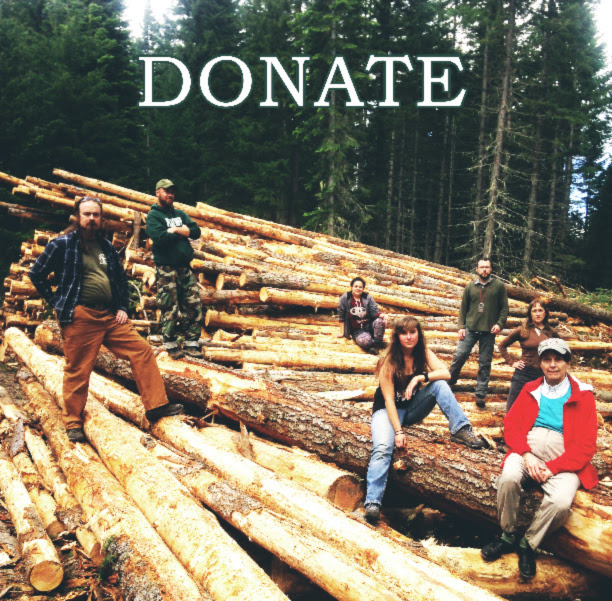 Donate button photo taken by Courtney Rae in the Bear Springs Timber Sale, White River watershed, June 2017.